LRH’s Exactly Taped Path Out of the Trap – OTVIIIisGrrr8! 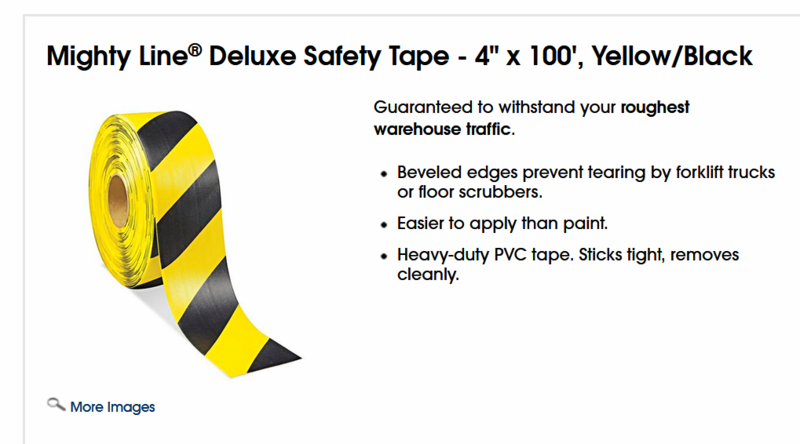 By way of answering an oft-asked technical question we get in RTC, Dr. Hubbard used Mighty Line® Deluxe Safety Tape – 4″ x 100′, Yellow/Black to exactly tape the way out of the trap. 47,000,000 feet of tape was required. If one stays within the pathway created by the lines of the safety tape they will safely exit the 75,000,000 year old trap; this assuming they can pay the $360,000+ toll to traverse the vast expanse of the trap. Let’s do the math on LRH’s exactly taped path out of the trap. The pathway is very narrow. 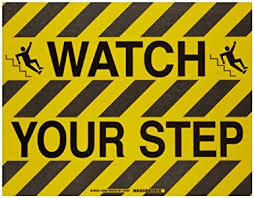 To be specific, it is three feet wide ( 0.9144 meter) and bounded on either side by yellow and black safety tape. Thus, we divide 47,000,000 million feet by two. By dividing and converting to miles, we find the exactly taped pathway out of the trap is 44,508 miles in length (71,629 meters). Given the length of the exactly taped path, there is a lot of auditing to do to make it through the engram-laden swamps of the Reactive Mind and the Walls of Fire which comprise the OT Levels. 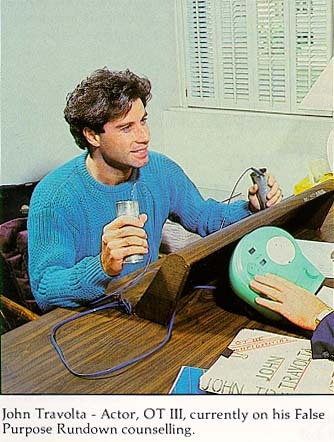 Get to work Scientologist! You have a long way to go to get out of the trap! So yer tellin’ me that if I mind my Ps & Qs and stay exactly in the middle of this eternity granting 3 foot wide path and then I turn sideways and with another intensive of GAT II auditing I blow 3 feet outta my head then I will be off the path and doomed to thralldom forever? Surely there must be an appropriate sum to donate to the IAS to prevent such a tragedy!!! Yours is an excellent question and one answered by the IAS. Wogs falsely believe the IAS gives Scientologist large and gaudy trophies because Scientologists are attracted to expensive bright and shiny objects that confer unearned prestige upon them. While this correct, the more fundamental reason is physics: If the Scientologist ties his or her large and gaudy IAS trophies to their meat sacks, then these trophies will act as protective ballast. Hence, the $1 million dollar IAS Patron Bloviatus Trophy is guaranteed to serve as a counterweight when one is blown up to sixty feet out of their heads. The smaller $40,000 IAS beginners trophy offers only three feet of protection. Given the power of GAT II auditing, we in RTC recommend that all Scientologists minimally ballast themselves with the $500,000 Patron Moronous trophy which will keep you on the exactly taped path when you are blown 25 feet out of your head. Thank you Sir!!!!! Although I have never come close to blowing anywhere out of my head as a result of my flawless GAT II auditing on ARC Straightwire, I don’t want to take any chances. Maybe by the time I finish, that will happen. Let’s just call IAS Status upgrades Theta Insurance. Thetans just outside the exactly taped path are just fucked. Thanks to LRH, COB and the IAS we have a chance to get out of this trap and stay in a better one. To get to Oz, Dorothy followed the yellow brick road. But the yellow tape path for Scientologists leads to bankruptcy, divorce, destroyed families, and slavery.